Solar energy is a hot topic. It seems you can’t escape the topic in the news and on social media. OPPD is also taking steps to pursue a community solar project of its own. But what does “solar” mean? Here are some facts and history of solar energy from the U.S. Department of Energy. Continue here. Solar on businesses, government buildings and schools, [or aggregated into a community-solar program] can save utilities and consumers money on other distribution infrastructure costs. For example, expensive utility transformers can get overloaded on hot summer days when people are using more energy to cool their homes. Solar can reduce strain on the system on these days, which extends the life of utility equipment and creates savings for everyone. Additional widely-recognized benefits of solar: avoided fuel hedging costs created by volatile fossil fuels like natural gas, avoided electricity losses from power plants that are located far away from cities, and avoiding the need to build new expensive natural gas plants. 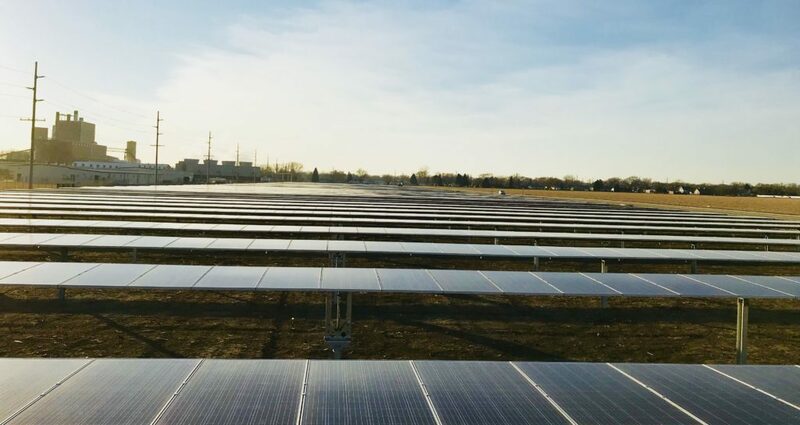 This entry was posted in Community-Scale Solar, Nebraska / Midwest News and tagged benefits of solar energy, Fremont's two community solar farms, Omaha Public Power (OPPD), OPPD Blog - The Wire, OPPD's community solar plan, Solar Energy Industries Association (SEIA), U.S. solar market on July 2, 2018 by Helen Deffenbacher.